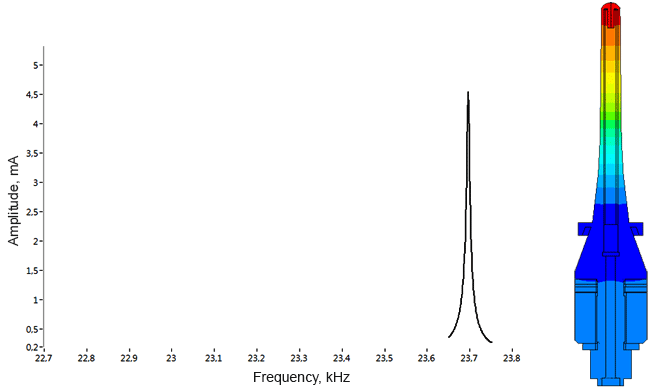 determination of oscillation modes of the transducer. We also have a database of materials consisting of more than 100 components, including metals, polymers, composites, piezoceramic materials, etc. It is advisable to carry out the calculation of the transducer at the first stage for exploring different ideas without costly prototyping. 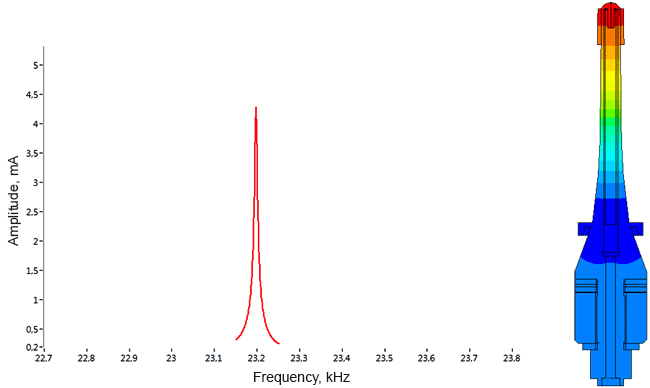 voltage on the piezo element, etc. The developer can be more flexible at the conceptual design stage. Thus, prototypes creating and experimental tests conducting required only after calculating the optimal design of the sensor. This makes it possible to significantly reduce costs during the R&D phase and anticipate in advance the pitfalls. 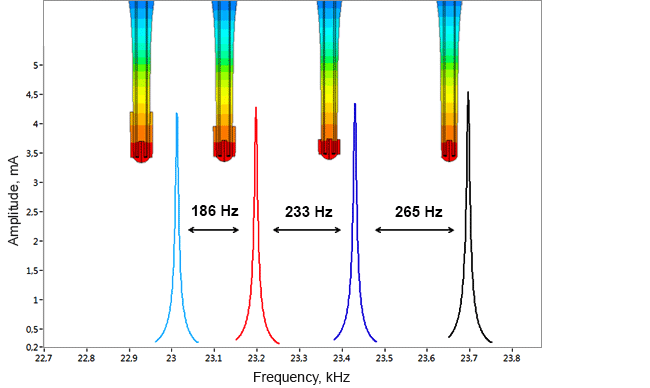 The most difficult in the calculation of ultrasonic piezoelectric sensors is the simulation of the piezoelectric element. For a correct calculation of the piezoelectric element, it is required to know a large number of piezoceramic parameters. The graph (Fig. 1) shows the AFC of the piezoelectric element taken experimentally with help of impedance analyzer and calculated AFC of the piezoelectric element. 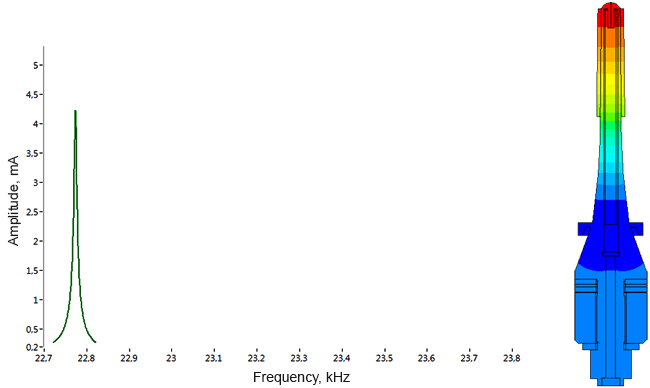 The frequency error is 2.3% (at the first resonance) and 0.34% (at the second resonance). Click here to view the oscillations of the piezoelement! determining the sensor sensitivity area. Determination of parasitic oscillations in a density meter. Comparison of different dispersant designs. Choosing the best construction.